How to save tax under section 80C using mutual funds? Being in the working class, we often end up paying a huge amount as a part of our Income Tax to the government. But with different sections of the Income Tax Act such as Section 80C, we could save some of the amounts on the tax we pay. With the rising inflation and soaring prices, it is very important that one should save money from every corner in order to lead a comfortable life. One such corner where you could save some money is the tax. Being in the working class, we often end up paying a huge amount as a part of our Income Tax to the government. But with different sections of the Income Tax Act such as Section 80C, we could save some of the amounts on the tax we pay. Before we get into the details of how you could save tax under section 80C by investing in mutual funds, let us understand what section 80C is. Employee Provident Fund (EPF), Voluntary Provident Fund (VPF), Public Provident Fund (PPF). How to save tax using Mutual funds (ELSS) under Section 80C? To save tax under Section 80C ELSS (Equity Linked Savings Scheme) could be used. But before understanding its use for tax benefits, it is important that we understand what an ELSS is. Equity Linked Savings Scheme, commonly known as ELSS, is nothing but a type of diversified equity mutual funds with a lock-in period of 3 years. 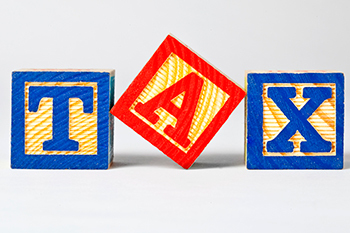 If you are looking forward to saving tax under Section 80C, and at the same time are not willing to engage your funds in long lock-in periods, then this is the investment you should look for. These mutual funds would help you to accumulate wealth, and at the same time, they are very flexible and you could opt for SIP (Systematic Investment Plans) for the ELSS. ELSS can help you in saving tax on Rs. 1,50,000, which is eligible for deduction under Section 80C. This means a maximum amount of Rs1,50,000 could be reduced from your annual gross taxable income if you invest the same. So, all you require is to invest your funds in ELSS for a tenure of 3 years or more in order to enjoy tax benefits. Shorter lock-in period of 3 years, which is quite less as compared to other tax saving investment avenues. It yields higher returns than other investments due to direct investment in share market equities. You can start to invest with an amount as small as Rs500. There is no limit on the maximum investment. Rs1,50,000 eligible for deduction under Section 80C if you invest the same in ELSS. By investing in ELSS you get Tax free dividends with tax-free LTCG up to Rs1,00,000 (as per the latest budget). You can invest as per your convenience with flexible SIP. 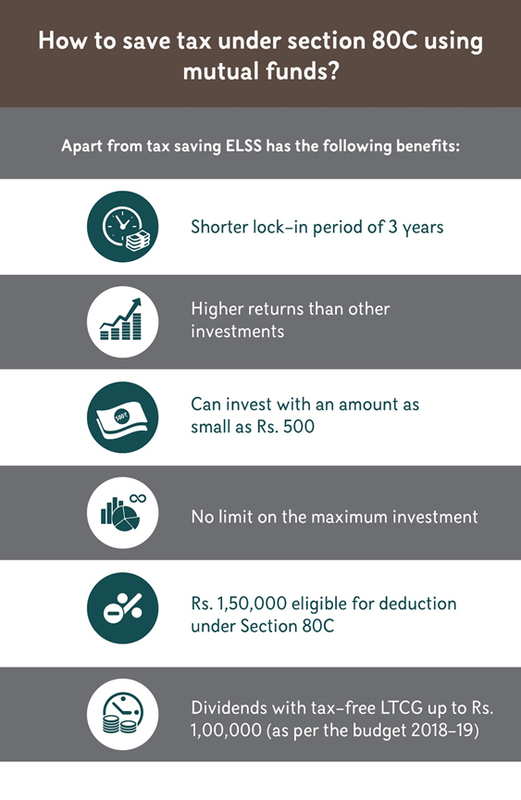 With the above benefits apart from saving tax under Section 80C, ELSS is one of the most sought-after tax saving Investment Avenue with long-term benefits.